Westwind is located a few miles north of Lincoln City, and is one of the most beautiful places in Oregon. Its 529 acres of wild coastal land include 2 miles of coastline, rocky headlands and sea caves, mature Sitka spruce and beach pine forests, and the Salmon River estuary. 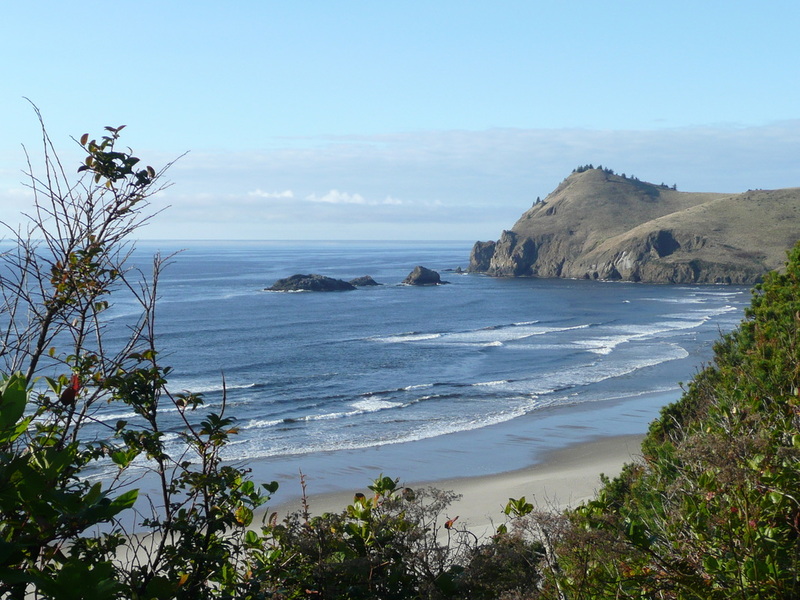 Westwind and Cascade Head (seen at right) are part of a U.N. Biosphere Reserve. Westwind's seclusion -- access is only by boat across the Salmon River, or a three mile hike along an access road -- and inclusion within the Cascade Head Scenic-Research Area have kept it a very wild place. Wildlife at Westwind include Bald Eagles, elk, ravens, deer, sea lions, salmon, bobcats and whales. Also, there are numerous tide pools and sea caves filled with wondrous marine organisms. ​Westwind is owned & operated by the Westwind Stewardship Group (www.westwind.org).